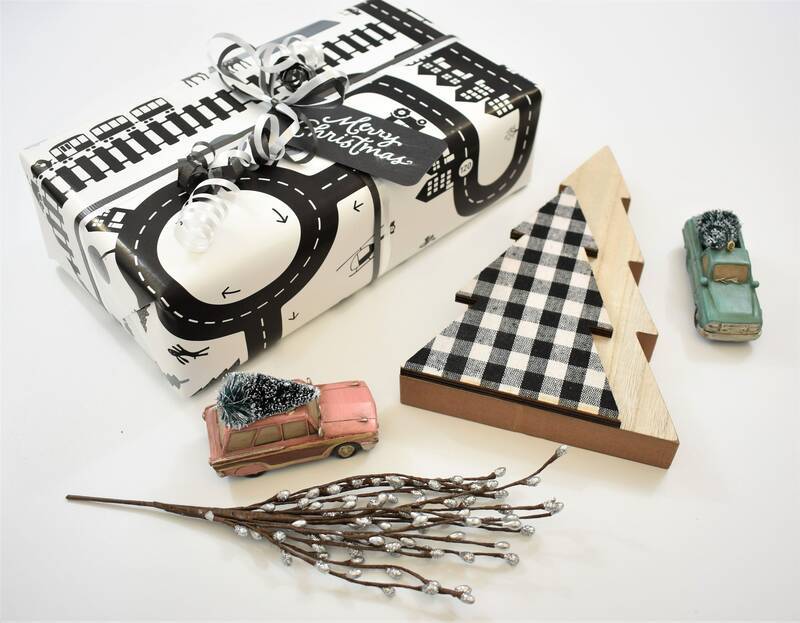 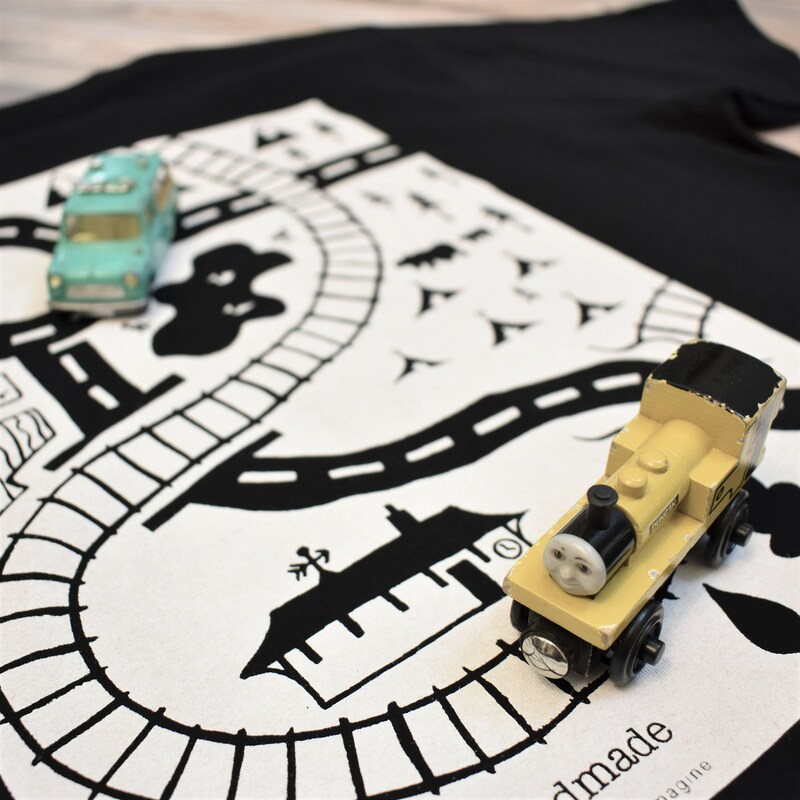 Does your child love trains? 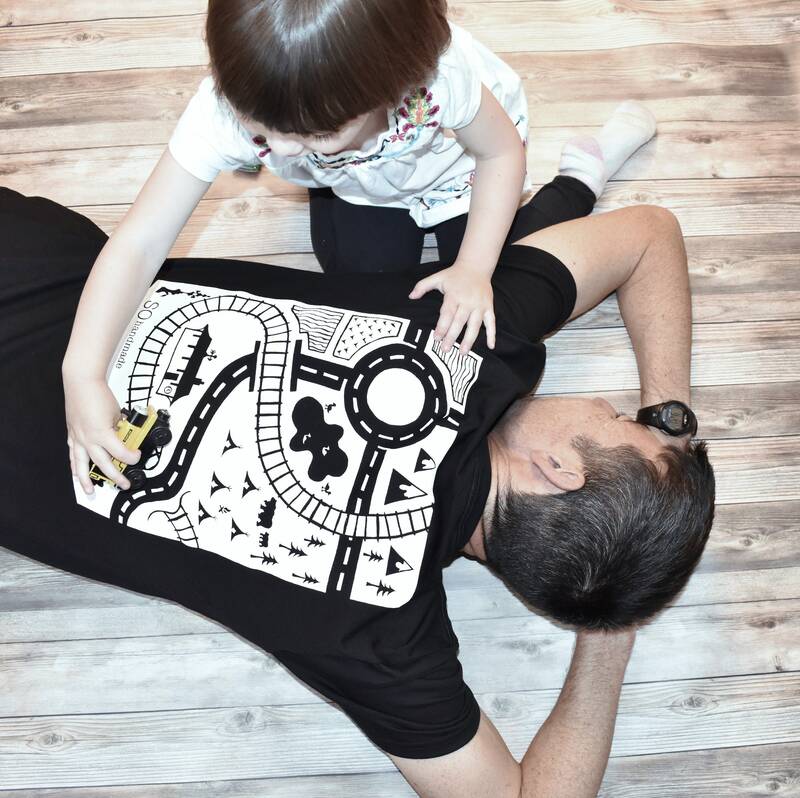 Why not let them play and Dad rest at the same time. 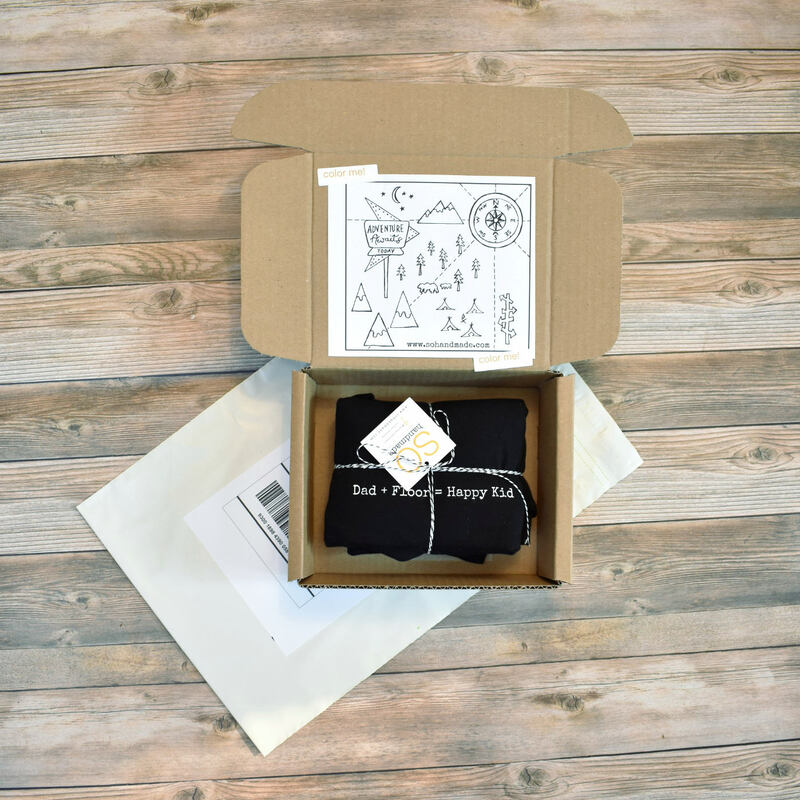 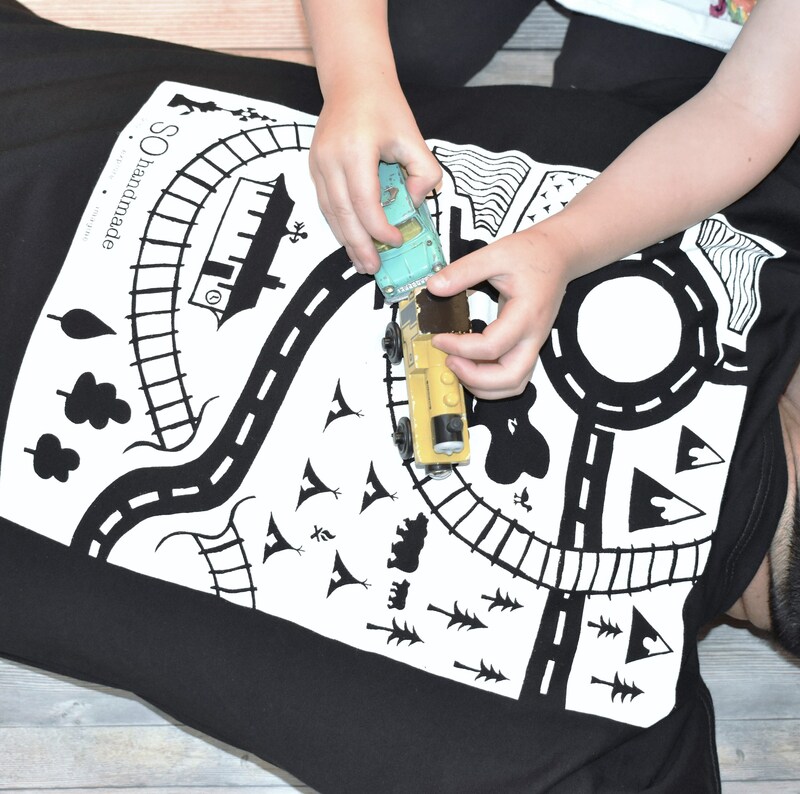 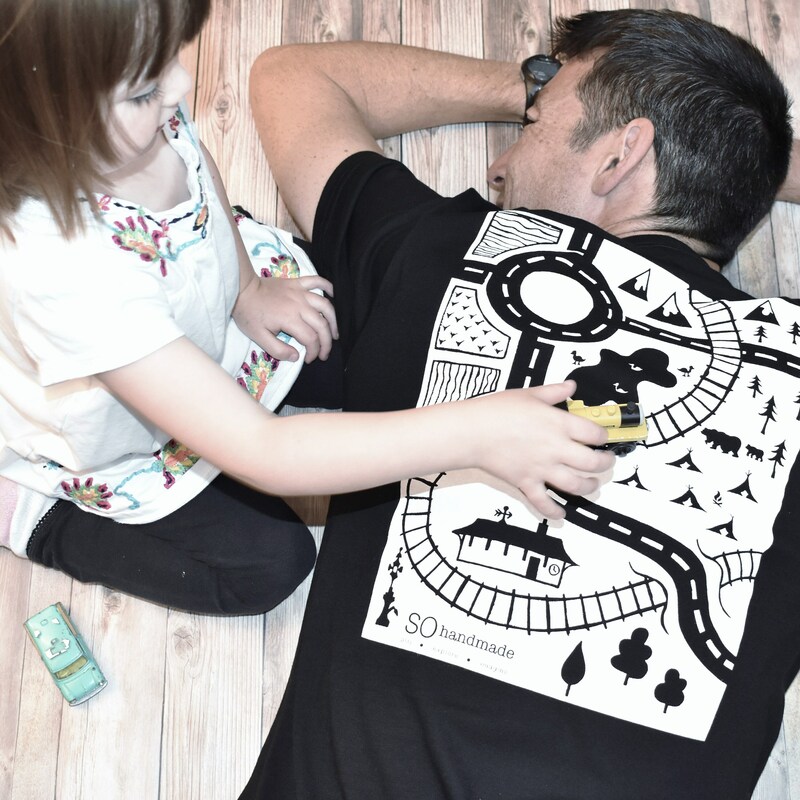 This organic black t-shirt has a play mat printed on the back so that dad can lie down on his front while the little ones drive, chug and zoom all over him. 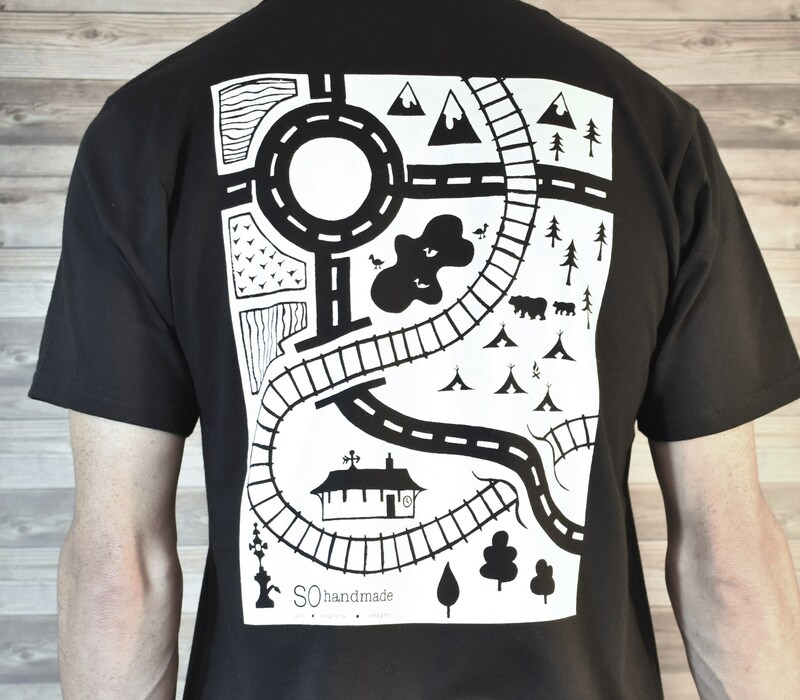 The design on the back of the t-shirt shows a train track together with a train station, road way, a bridge, a campsite, mountains and fields. 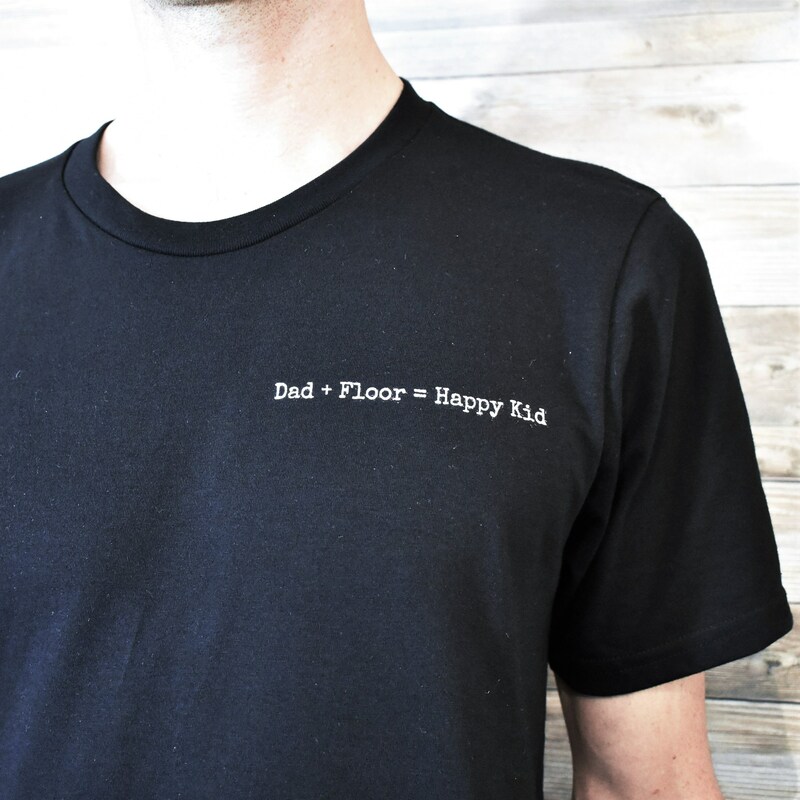 The front of the t-shirt has the words 'Dad + Floor=Happy Kid' printed on the right hand side. 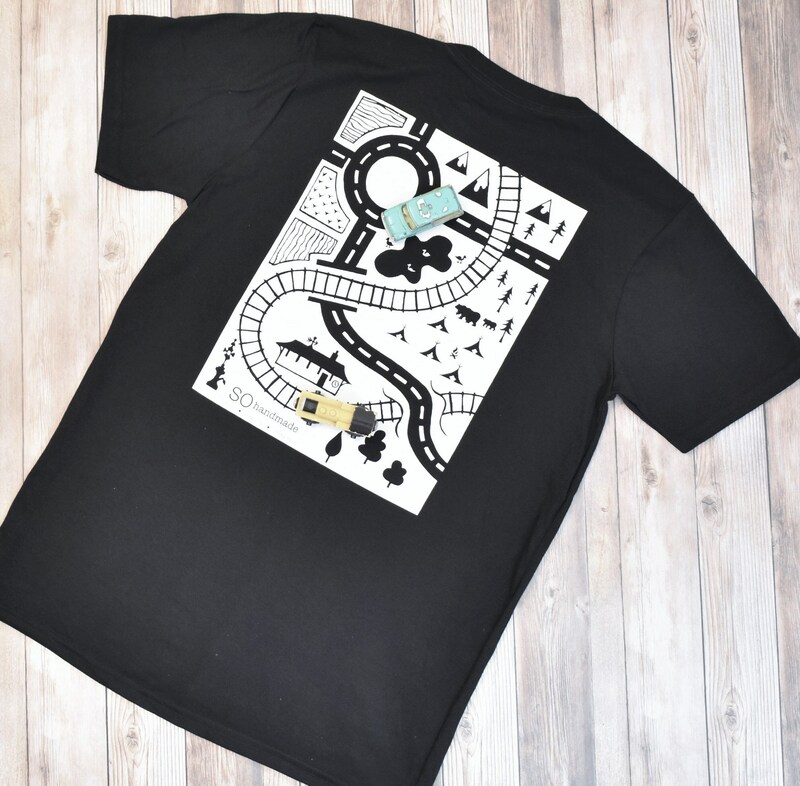 The t-shirts are 100% Organic made by Royal Apparel. 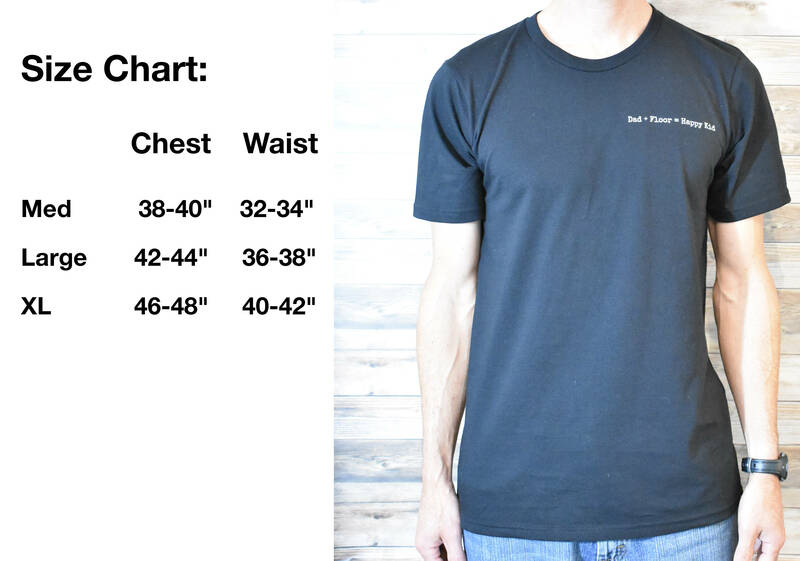 Med- Chest 38"-40" Waist 32"-34"
Large- Chest 42"-44" Waist 36"-38"
XL- Chest 46"-48" Waist 40"-42"